Cover letters are a curious creature. Editors generally pay scarce attention to them, certainly if they accompany a short story submission to a magazine, anthology or webzine. And yet they are nearly always a submission requirement. A sure way to put an editor’s nose out of joint is to post or email a submission with nary a ‘Dear Editor’ or any information about yourself or anything in the subject line (if it’s an email). It’s a courtesy to the editor to say ‘hello’ and to say a little about what you’ve done before. But what to say? How little or how much to include in a cover letter? Many writers are more unsure about this than they are about the actual story or novel they are submitting; some can really shoot themselves in the foot with an ill-judged cover letter. It doesn’t matter how brilliant your novel of short story is; if you put a foot wrong with your cover letter you risk predisposing an editor or agent to pay scant attention to your masterpiece at best or actively dislike the piece at worse. Below, I will be dealing with two types of cover letter: those seeking an agent and those that accompany short story or novel submissions. A friend of mine, who shall remain nameless, was looking for an agent last year and sent me a letter he was proposing to send out to several agents in an attempt to find one willing to represent him. He asked me to look over it and offer whatever advice I could in setting the right tone. Include a specific name if you can, e.g. Mr. Smith, Ms. Jones. Keep it formal for the moment. Avoid using first names until after you’ve established communications. Currently on an occupational break following a business career representing diverse interests such as those of the Georgian Navy on the Black Sea, to managing an international project for Arsenal Football Club it is my intention to use this hiatus to launch a career in writing. It’s not a good idea to give the impression that you’re taking a break to ‘try your hand’ at writing. This is how editors/agents will see it. Also, launching/building a career is what they would expect to be doing for you if they take you on; you have to come across as only wanting to write (it’s a compulsion, that sort of thing). I am French, 48 years old and married with two children. I have been living on the Mediterranean coast near Versailles for almost a quarter century. I write both fiction and non-fiction and I am beginning to break through, having placed a few pieces this year alone of both genres. It’s not a good idea to tell editors/agents your age. Agents and publishers prefer young 20 somethings who arrive on the scene with masterpieces and that they can sell as having a long career ahead of them in churning out masterpieces. Mentioning your exotic location is good, and the fact that you’ve sold work. 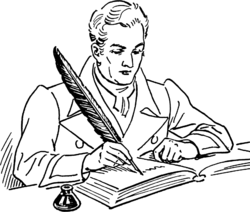 I write in two styles; one literary and descriptive, the other discursive and humorous. For analogies of the former style think John Banville meets Paul Auster and for the latter think P.J. O’Rourke meets Irvine Welsh. Mentioning your versatility is also not a good idea. Editors/agents want to know exactly what you are so they can sell you. They will see versatility as muddying the waters and this will encourage them not to look closely enough at your work. You can always introduce your versatility after you’ve published a couple of books. Although, this is easier said than done; once they pigeonhole you it’s very difficult to break out of it. John Connolly has stated publicly that he sometimes feels constrained by the crime genre label, for example. Also, never ever compare yourself to other writers. An editor is likely to think ‘Oh yeah? This guy’s like Paul Auster and John Banville? Well, we’ll see about that.’ The danger then is that the editor will actively look for how you are not like Paul Auster or John Banville. That is, if the editor gives your work a thorough enough review, which he/she may not be inclined to do because of your temerity in comparing yourself to literary giants. Editors are only human and, thus, prone to the same frailties as the rest of us mere mortals. I have two collections of short stories ready for publication, one a series of eight stories with a slight fantasy theme and with a twist in the tale. The other is a pastiche of the London Irish community from the early 1960s to the late 1980s. In non-fiction I have a collection of travelogues ready for publication, chronicling sojourns with the Georgian Navy at their base camp in Batumi to a culturally shocking business trip to Tokyo. This latter won an award and was published in an anthology earlier this year. I’d advise against saying the collections are ‘ready for publication’. It hints at inflexibility if it comes to an agent or editor wanting to rip the things apart and start again. Don’t use the term ‘twist in the tale’ either; this type of story is very out of fashion. This doesn’t mean that they won’t go for them; just don’t alert them to this aspect of the stories. With regard to the award and anthology publication, you should name these. I have many other works in various stages of completion. Utterly non au fait with the business side of writing, I need the services of an agent upon whom I can rely to place my work, allowing me to dedicate my time and energies to creative writing. Apart from the above, it’s also not advisable to mention how brilliantly wonderful your masterpiece is in a cover letter, how startlingly original it is, how the basic premise or idea has never been done before, or to ask if the agent/editor/publisher has the courage to represent you/publish your ground breaking magnum opus. There is nothing new under the sun; there are only fresh angles on old ideas or uniquely personal or convincing portrayals of characters and situations. The important thing is the story; allow it, and it alone, to draw in the editor or agent. Strutting about arrogantly like a peacock in your cover letter will only predispose the agent/editor to dislike the work before they’ve read the first line of it. Please find enclosed three short stories showcasing my talents as a writer. I am French, married with two children, and living on the Mediterranean coast near Versailles for several years now. I write fiction and non-fiction and have placed work with The Village Quarterly, Snow Drop Weekly and WTF?. I have two themed collections of short stories to offer; one is a series of eight stories with slight fantasy elements and the other is a pastiche of the Liverpool Irish community from the early 1960s to the late 1980s. In non-fiction I have a collection of travelogues, chronicling sojourns with the Georgian Navy at their base camp in Batumi to a culturally shocking business trip to Tokyo. This latter won the Half Baked Award and was published in an anthology called Who Do You Think You Are? earlier this year. My friend was successful in securing the services of an agent and while this was, no doubt, based on the quality of the work he submitted, I’m certain that putting his best foot forward in terms of his cover letter didn’t hinder him. Please find enclosed (‘attached’ if it is a submission by email) a short story called ‘The Aggravated Geese’ for your consideration. I have had stories published in The Clontarf Literary Journal, The Far Horizon and Up the Junction. I also won second prize in the Eon Award for Short Fiction in 2007. My novel Far From It You Were Reared is due for publication next spring from Walking Wounded Press. I hope you enjoy the story and look forward to your reply. It’s always a good idea to mention where you’ve been published before. No need to list every story you’ve ever had published or all the publications, just the more high profile magazines. If the publications are not high profile, mention two or three of them anyway. As and when you do sell to higher profile publications, you can drop the less auspicious ones from your list of two or three mentioned. If you’ve won an award, come second or third, or even been shortlisted, mention it. And if you have a novel due out, or stories placed with magazines that haven’t yet been published (or posted, if it’s a webzine), mention this also. The key, though, is to keep it short and to the point so the editor can see the names of the publications and/or publishers clearly and at a glance. If you haven’t published anything yet, just leave this bit out of your cover letter. Under no circumstances mention that you’ve never been published before. It just predisposes the editor/agent to think you are a beginner and they may not give your piece the attention it deserves. That’s it. Writing cover letters doesn’t have to be an arduous task; once you’ve pinpointed the two or three most important things to highlight, it’s a case of not allowing yourself to slip into a rambling discursive missive extolling your virtues (as a writer or otherwise). Keep it simple and move on to your next piece of writing while this one is out there in the big bad world. I have mastered the art of the submission letter by now. I’ve lost count of the number of submissions made, but I must be doing something right with over a thousand items, most of them poems, accepted and published. One point I like to make, at the very end is to thank the editor for their time and patience. That’s an impressive record, Philip. I’m a long way from achieving that level of success, but I’ll keep trying. Yes, certainly, ending your cover letter with a thank you for their time is always good.